Plastics injection molding isn’t something most people think of when coming in contact with everyday consumer products. But, plastic injection molding and plastic manufacturing facilities are present in all 50 states, numbering around 16,000 separate operations. Still, when we think about the number of things injection molding is responsible for fabricating, the importance and prolifery of injection molding become apparent. That said, most people outside of the industry might lose interest if we start geeking out about hot runner systems, sprue bushings, valve gating, and the like. While the technicalities of injection molding make lots of things possible, we want to look at where it came from and how it impacts our lives today. The plastics industry is still in its infancy. It really took off during World War II, between 1940 and 1945 when manufacturing started using less metal and more plastic. This trend only continued as decades passed and brought us to where we are now: plastics are veritably everywhere and make up everything. Before hot runner systems and the more advanced technologies that made modern plastic injection molding so widespread came around, the idea was simple. Industries wanted products that could be made in massive quantities and at a low cost. Thus, the initial plastic injection molding process fabricated items like buttons, combs, and collar stays. As technology in plastics developed, manufacturers were able to use the idea of basic molds for simple things like shirt buttons to make more complex plastic products. In fact, injection molding is the most widely-used process to build innumerable products that we rarely even think about. In essence, if there’s anything plastic in arm’s reach, there’s a high likelihood that it’s an injection molding byproduct. Take your phone case, for instance. When new phones get released and cases need to be made to fit them, the designers of those devices will send specs to an injection molding company. From those phone measurements, a die will be created and perfected to ensure that when millions of them are made, each one will be a perfect fit. This can be applied to more products than we can count. The point is that consistently-made products can be produced in mass quantities without sacrificing quality. 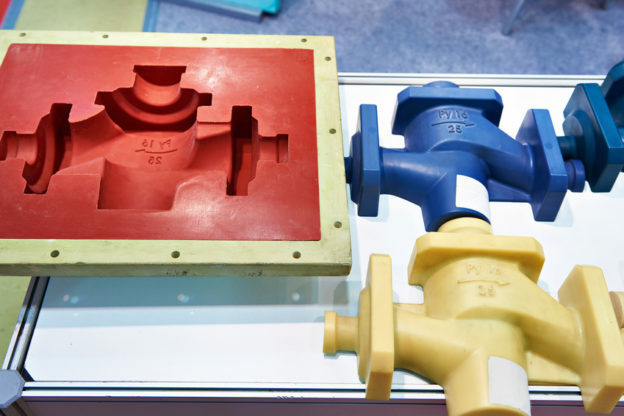 Injection molding is truly the unsung hero that makes plastics possible.